AMD refresh. The Acer Aspire One 522 is the latest netbook from Taiwan and, at the same time, the opponent of the available D255 netbook with an Atom N550. The refresh contains the AMD C-50 APU including AMD Radeon HD 6250 graphics. Is this, together with a HD display, the perfect match? It’s disappointing, as in most other ways the Aspire One 522 is ahead of the pack. The screen is a huge plus few netbooks can match, the processor and the graphics chip are as fast as netbooks currently offer, and the 250GB hard disk and port selection are fine for such a reasonable price. But that battery means we can only really recommend it in the unlikely event that you don’t intend to use your netbook on the move. If it wasn't for the terrible battery life, the Acer Aspire One 522 would be a commendable entry in the netbook market. If you can live with that then we'd recommend it as a well-built, highly usable machine, but there's better to be had. So far he’s expressed concern over what I consider typical Acer build quality such as the unreliable track pad (I’ve actually for the same problems with the Happy, which is essentially the same chassis). But its cheap, real cheap at €299, so you have to forgive it its idiosyncrasies since you really didn’t pay for excellence. The Acer Aspire One 522 is a 10.1 inch netbook with a 1280x720 pixel panel and an AMD Brazos Ontario APU (processor and graphics card together), the C-50. 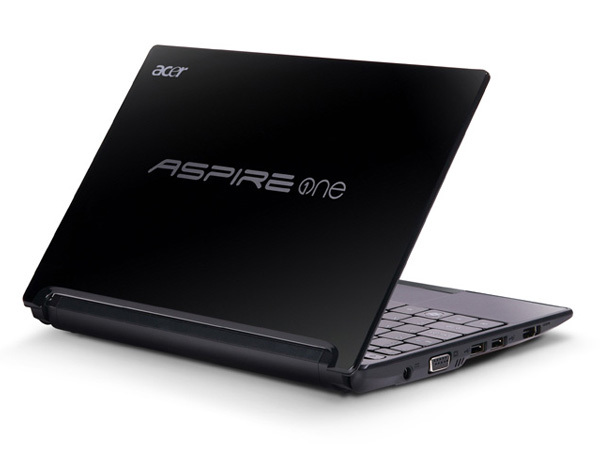 Although entirely in plastic, the Aspire One 522 has a sober and relatively elegant design. The Aspire 522 is far from being the highest performance netbook around. Nor is its low battery life in its favour. 72.27%: This rating is bad. Most notebooks are better rated. This is not a recommendation for purchase.